"I only went back once. I couldn't stop crying." Pripyat, Ukraine, was a closed Soviet city, population 49,360, built to house workers at the Chernobyl plant one mile away. In the days following the accident, families were evacuated and told they could return in 3 days. Some have never returned, yet still mourn their paradise lost. 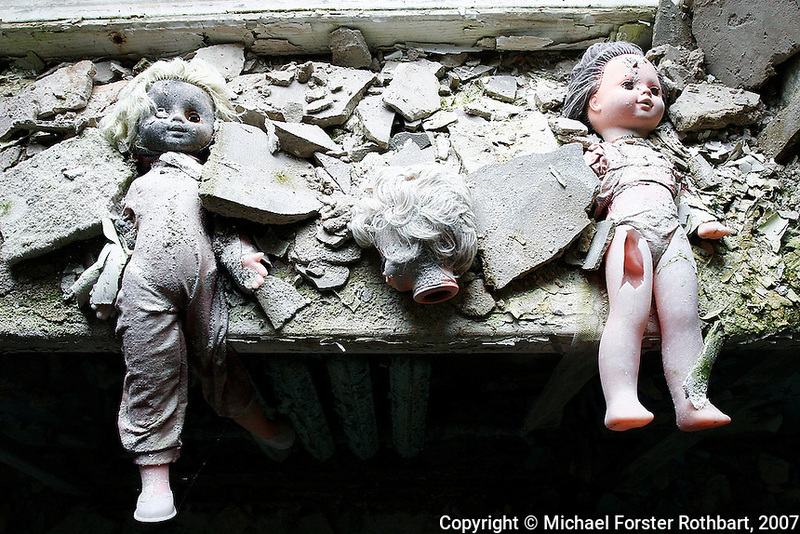 Valuables were stolen long ago, but abandoned dolls remain on a windowsill in the Solntsye kindergarten.